Are you new to Zen meditation or Zen Buddhist practice? Have you read books about Zen, or been doing meditation on your own? Do you think you’d like to study with a teacher? This Seminar is designed for those new to Zen or formal Zen training, this introductory retreat allows you to immerse yourself in Zen practice. ​Konrad Ryushin Marchaj, Sensei is a Zen priest in the tradition of Zen Buddhism, and a Dharma heir of the late John Daido Loori, Roshi. Ryushin Sensei was the Abbot of Zen Mountain Monastery from 2009-2015. Born in Warsaw, Poland, he immigrated to the United States in 1967. He received a Bachelor of Arts degree in Anthropology from Yale University in 1976. He received his medical degree from Albany Medical College in 1980, working first as a pediatrician in Portland, Maine, and then serving in the US Navy as a physician for three years. He then returned to Albany for postgraduate training in psychiatry. After completing his residency, he served as medical director for a community psychiatric outreach program. He entered full-time residential training at the Monastery in 1992. 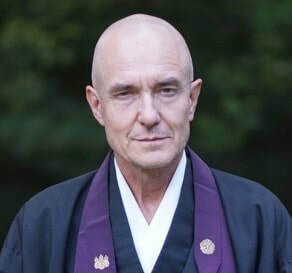 Drawing on his background as a physician and psychiatrist, Ryushin’s infectious interest and thorough training in the workings of the mind, combined with his skill at translating complex concepts into the accessible, everyday language, characterize his unique teaching style. He is currently teaching independently.